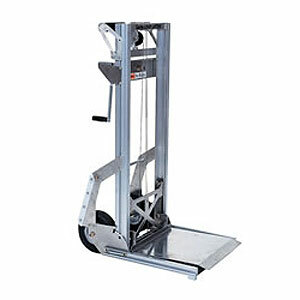 Make your lifting jobs easier and safer! 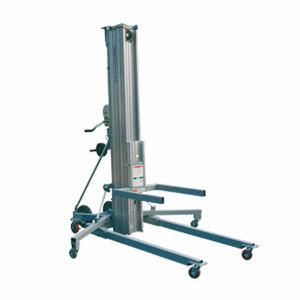 Designed for work site, warehouse, manufacturing, maintenance and utility facilities. 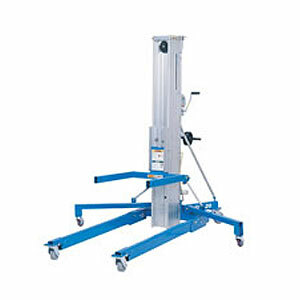 Genie® Lifts, a versatile solution. 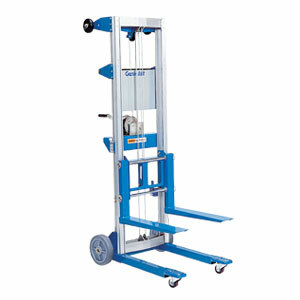 Genie® Material Lifts, also known as duct lifts, are ideal for lifting and placing small pallets and bulky objects. Perfect for installing and maintaining HVAC equipment and appliances, shipping/receiving, storing/retrieving records, and stacking materials on shelves. 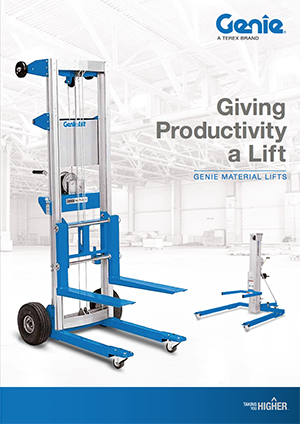 Using a Genie® Material Lift decreases the need for workers to manually lift materials, reducing the risk of workplace injuries. An industry favorite due to their ease of use, convenience and flexibility. Their lightweight and durable design make them a versatile option for light-duty construction and maintenance applications. 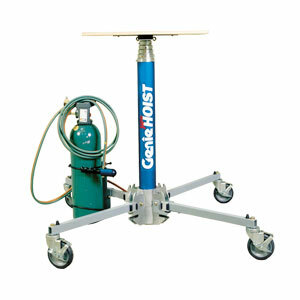 Ideal for use in schools, churches, warehouses and interior work on large construction sites, like high rises. One person can easily set them up and get to work within minutes. All products will pass through a standard doorway for ease of access to the worksite and can be loaded by one person onto a truck or ute. 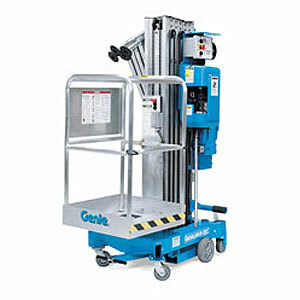 Genie® Lifts. Affordable, versatile and well supported.